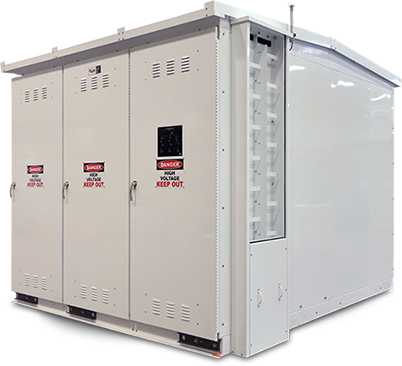 Now available in the 38kV class in indoor, outdoor non-walk-in, and outdoor walk-in enclosures; we offer optional component selection including different choices for protective relays, metering devices and PLC monitoring for specific applications. This customizable feature makes IEM an ideal choice for unique projects and for matching or upgrading existing installations. The 38kV mechanically complete switchgear rated for 40kA is also available with CSA listing when required and applicable, and meets also the seismic requirement of the UBC code.